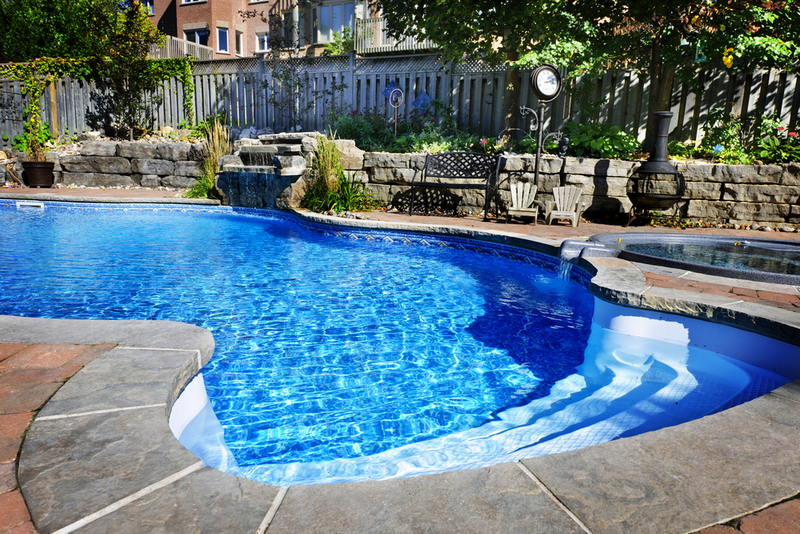 When your swimming pool service contractor from Imperial Pools, the best pool builder in Champaign, Illinois pays a service visit ask if he or she recommends cleaning the swimming pool deck. When is the last time you cleaned the pool deck? If you struggle to answer that question, you should probably put that task on your to-do list. You may not give it much thought, but if you’re on the swimming pool deck a lot you’re potentially walking in bacteria and bringing that into the pool water with you and spreading it into the house. The type of pool deck surface material will determine the way in which the deck is cleaned and how often it needs to be done. If you have a concrete, ceramic tile, brick or paving stone deck the way you clean the deck will vary. The first bit of advice is to clean the pool deck surface according to manufacturer’s recommendations. Don’t clean a deck with a hard steel brush if you’re not certain the material can withstand that type of brush. A pressure washer, used judiciously, can definitely clean the pool deck, but depending on the material a pressure washer can cause damage if you don’t know what you’re doing. Cleaning the disinfecting the deck by hand will take longer than will using a pressure washer, but don’t take a shortcut if you are worried you’ll damage the deck. If you have a wooden deck, there will come a time it will need to be sanded down and revarnished and finished. This will protect the wood from the elements and from the chemicals in the pool water that is being splashed out. A wooden deck is prone to rot and can get extremely slippery when wet. Talk with us to make certain that any pool deck cleanign product you’re planning to use is compatible with your pool water. If cleaning product gets into the pool water it can make it unsafe for swimming and lead to chemistry imbalances. Whether you want to clean the pool deck yourself or have us do it at our next service visit, just let us know and we can offer suggestions or clean it for you.